Looking for the best roof repair experts Columbus has to offer? We understand the urgency needed to fix your leaky roof. We specialize in fast roof repairs. Columbus Roofing Pros is here to help. Call us today! If something is wrong with your roof, you should focus on getting it fixed as soon as possible. Think about it. If you have a roof leak in Columbus, Ohio, your house will get to get rained on. Where does the rain water go? You guessed right! Anywhere it wants to go inside of your house. Have you ever heard of water damage? Please listen to this next line, a damaged roof will only get worse! The sooner you get your leaky roof checked out the more affordable the repair will be. When you have to repair your roof, you will not want to go at it alone. The fastest solution to quality roof repair is to call a trusted roofing expert. If you are in Ohio, Columbus Roofing Pros. will be happy to take a look at your roof and provide you with a detailed quote of the estimated roof repair costs. Columbus Roofing Pros. will always get the job done right. If you are not a licensed roofing contractor, it is not a good idea for you to try to fix your own roof. This can be dangerous and there are advantages to getting a professional to do the roofing for you. You will receive expert feedback. You will receive consultation on the best roofing materials. You will receive top notch craftsmanship. You will receive quality roofing repairs in minimal time... and the list goes on. One of the main reasons you should hire a licensed roofing contractor is experience. This type of experience can save you a lot of headaches in the future. They can pinpoint problem areas in your roof that are not visible to the untrained eye. This factor alone can prevent damage to you home down the road. 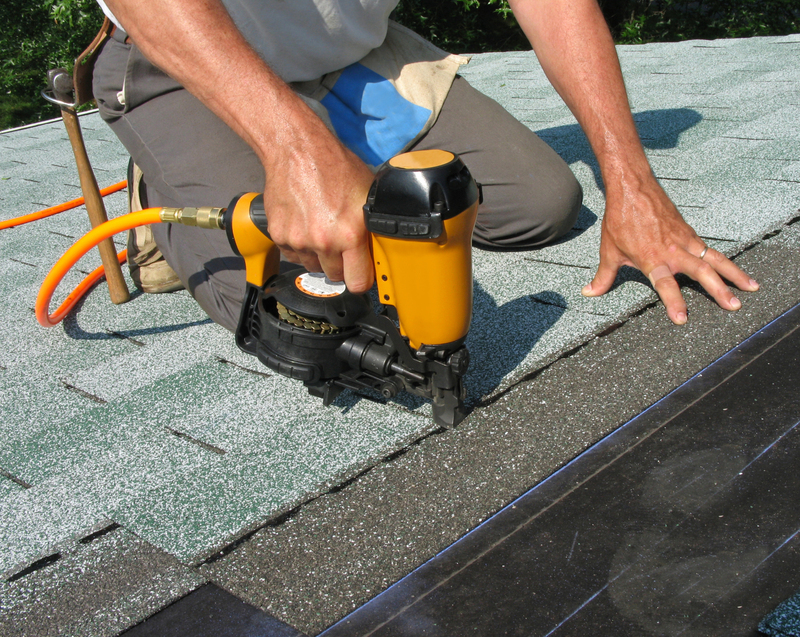 FAQ: How do I know if my home's roof can be repaired? When roof weathering and damage is serious, only a thorough roof inspection performed by an experienced roofing professional can determine if roof repairs will be enough to resolve the roof's problems, or whether it is time to install a new roofing system. FAQ: Why is preventive roof maintenance so important? During routine maintenance services, small roofing issues can be identified and resolved before they develop into larger roof problems. Missing, damaged, or loose shingles, shakes, and tiles can be repaired or replaced; drainage issues can be addressed; damaged or improperly installed flashing can be repaired or replaced; and bubbling or blistering on flat roofs can be repaired. FAQ: Why is my roof leaking? Each type of residential roofing system develops leaks for different reasons. But in general, leaks typically develop due to damaged, missing, or loose shingles, shakes, and tiles. Poor roof drainage due to excessive debris buildup contributes to the problem, as does the presence of insufficient, improperly installed, or damaged roof flashing in roof transition areas and at points of roof penetration. And on flat roofs, damage to the cap sheet or gravel layer is typically the culprit. Give us a call today and we can discuss the best options for fixing your roof. Call Columbus Roofing Pros. today... Your roof won't fix itself! Get a FREE quote from the best roofing contractors in the Columbus area.